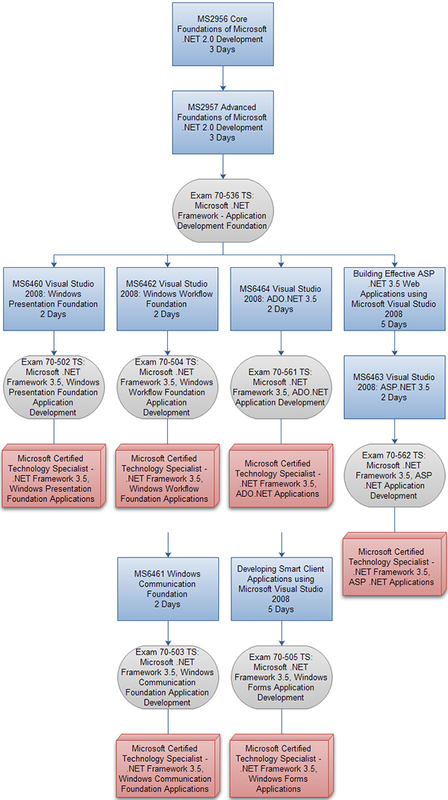 The Microsoft Visual Studio 2008 certification tracks are based on six Microsoft Certified Technology Specialist (MCTS) certifications that demonstrate your understanding of application development. Each certification focuses on the features and functionality of key technology areas in the Microsoft .NET Framework 3.5. Candidates for the MCTS certifications are professionals who use Visual Studio 2008 and the Microsoft .NET Framework 3.5, or who anticipate working with these technologies in the near future. You should have at least one year of experience using the underlying technologies that are covered in the corresponding exam. 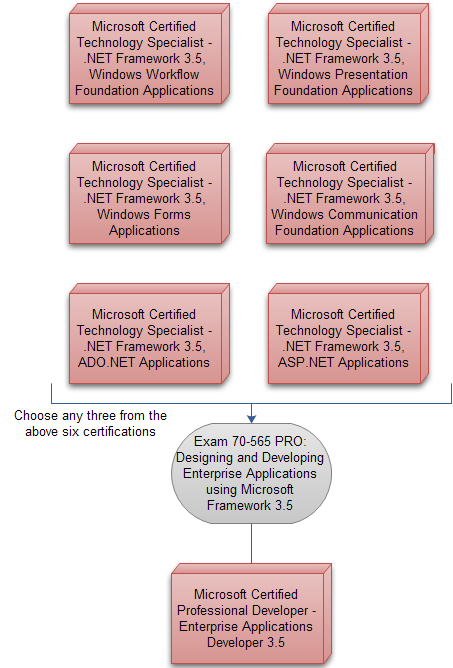 Each MCTS certification requires Exam 70-536 and one specialized exam, as shown in the following diagrams. Typically consist of one to three exams. Have one or more prerequisites from the Technology Series. Are focused on single job role. Require recertification to maintain active status. Please see the diagrams below.